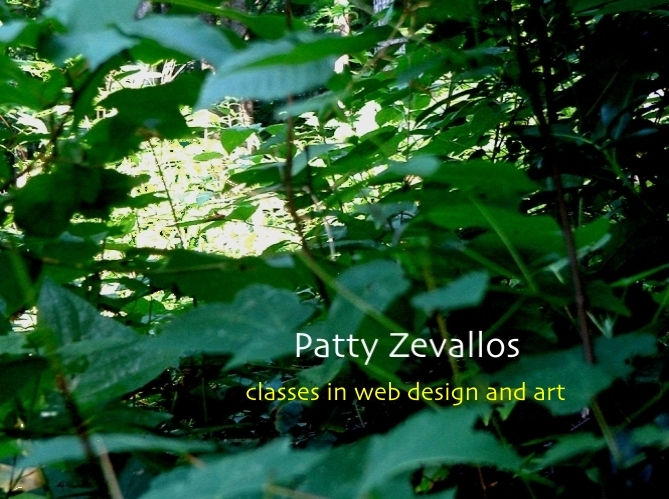 Web design and art classes taught by veteran media producer Patty Zevallos in Springfield, VA, close to Burke, Fairfax City, Annandale, Lorton, Franconia, and Fairfax Station in the Northern Virginia / Washington, DC metro area. These classes push you to excel quickly while having fun. published by PBZ Productions, Inc.